AMMO Rotational Wormer Paste is a broad spectrum benzimidazole (BZ) group anthelmintic treatment for different worms in horses. It is indicated for the control of adult and immature forms of Parascaris equorum, Oxyuris equi, Trichostrongylus axei, Strongylus spp, and susceptible small strongyles and adult Habronema microstoma in horses. To control bots, trichlorfon may be administered concurrently. It is safe for use in horses including foals, yearlings, stallions and pregnant mares and designed for administration orally by syringe. The contents of one 32.6 g syringe are sufficient to treat one horse of 600 kg bodyweight. Dose orally according to bodyweight or mix it with feed. Turn the ring to appropriate setting on barrel side of plunger. Worm every 6-8 weeks with AMMO Allwormer and rotate with AMMO Rotational wormer after 12 months. 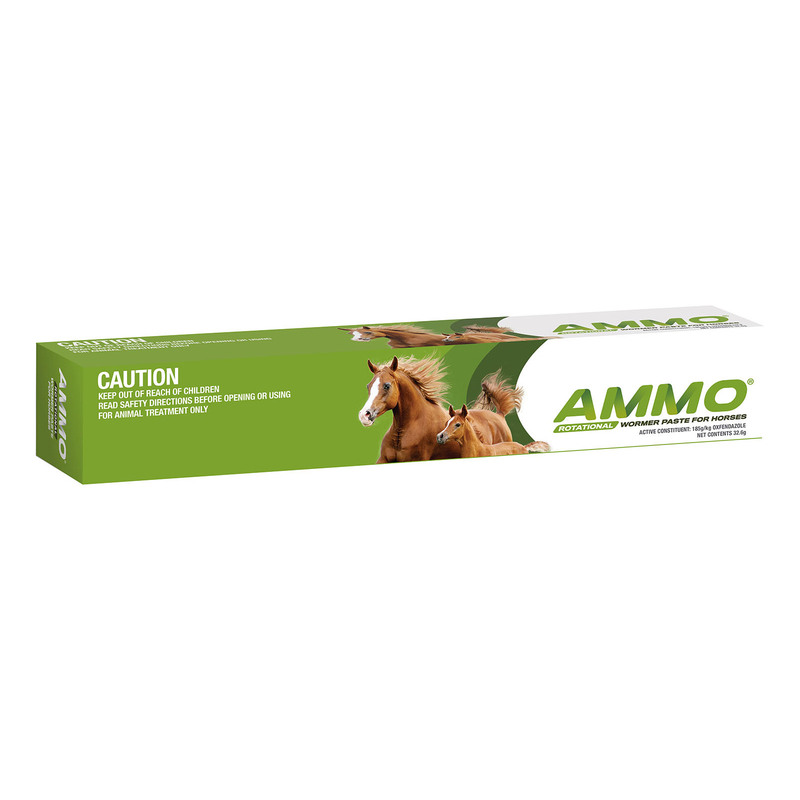 Administer AMMO Rotational wormer twice a month during spring and autumn for total protection.